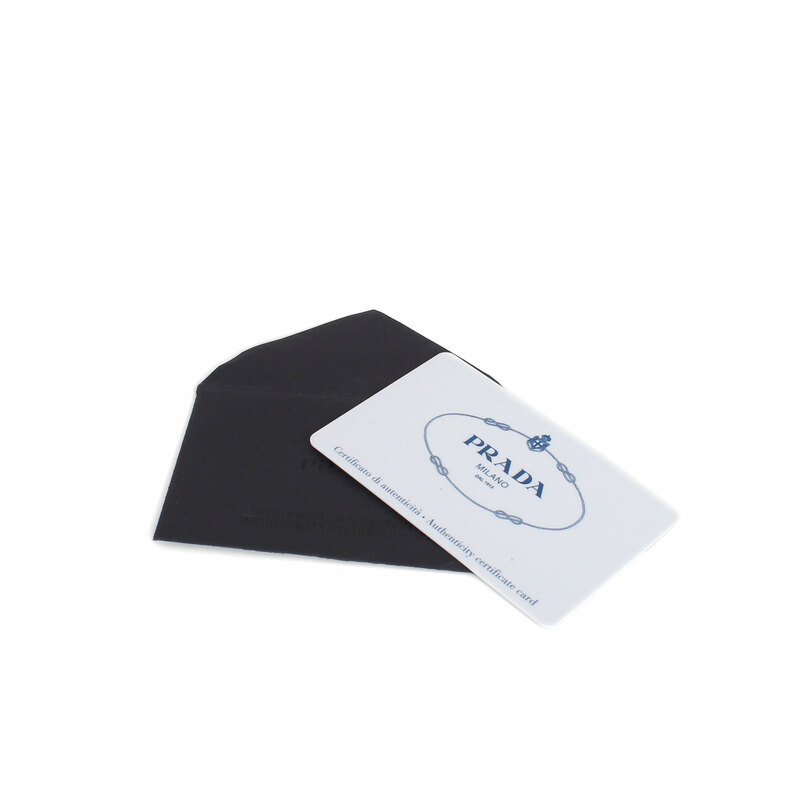 This Prada bag, durable and spacious, has the ability to keep all your daily essentials and more. 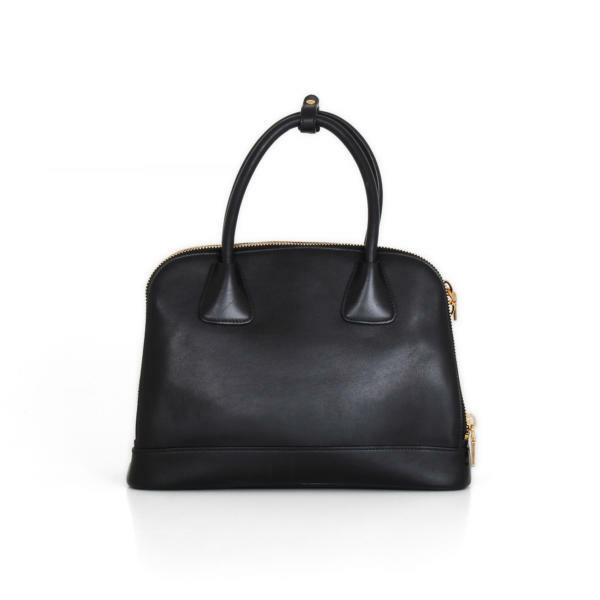 Wear it across the body with its shoulder strap or on the arm with its short handles for a sophisticated look. 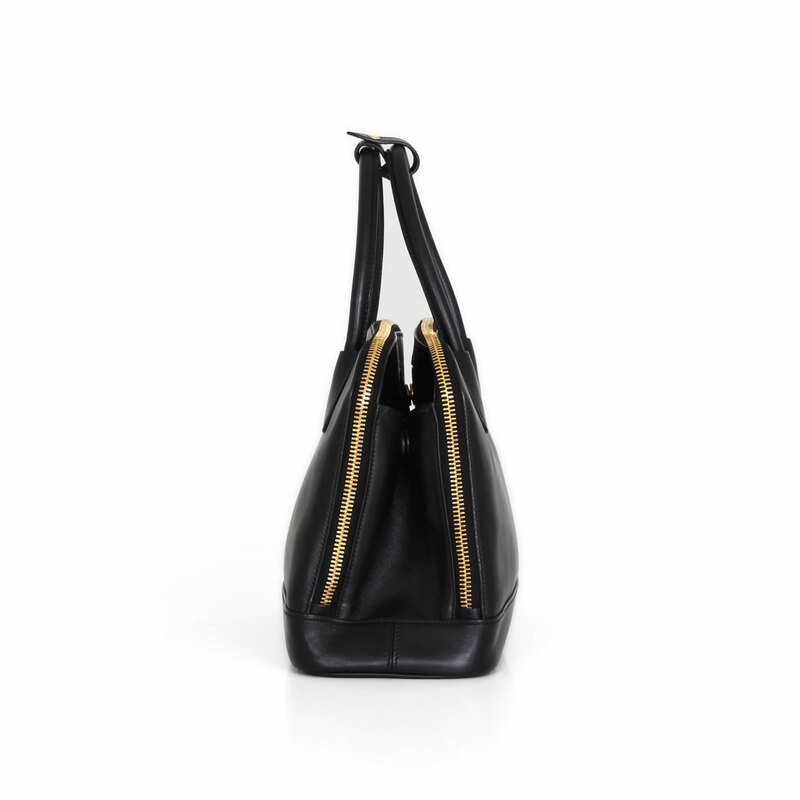 It is the perfect bag for daily use! In CBL Bags we are dedicated to buy and sell luxury handbags like this Prada bag. 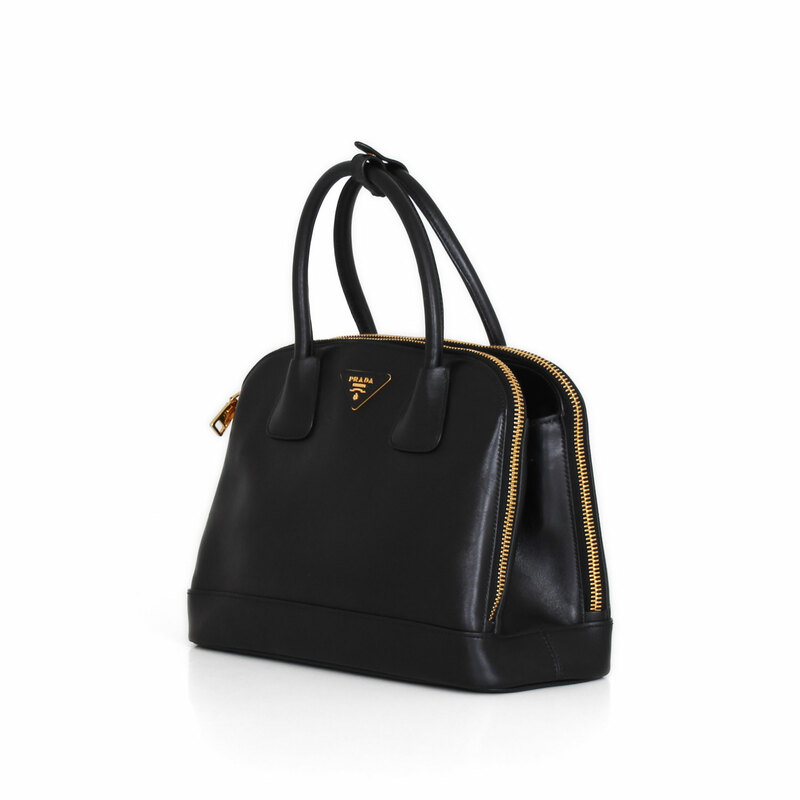 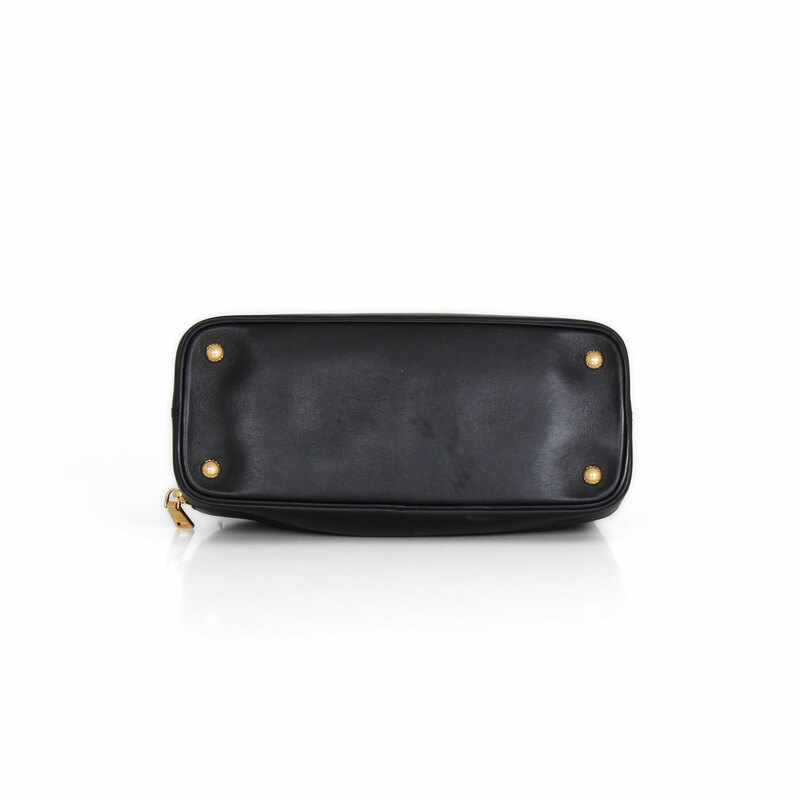 This Prada classic bag is made of soft calfskin leather and gold plated hardware. It has a double leather handle and includes a long removable shoulder strap to carry the bag across the body. The bag is divided into three compartments, the main in the center with clasp closure and two other on the sides with zipper closure. 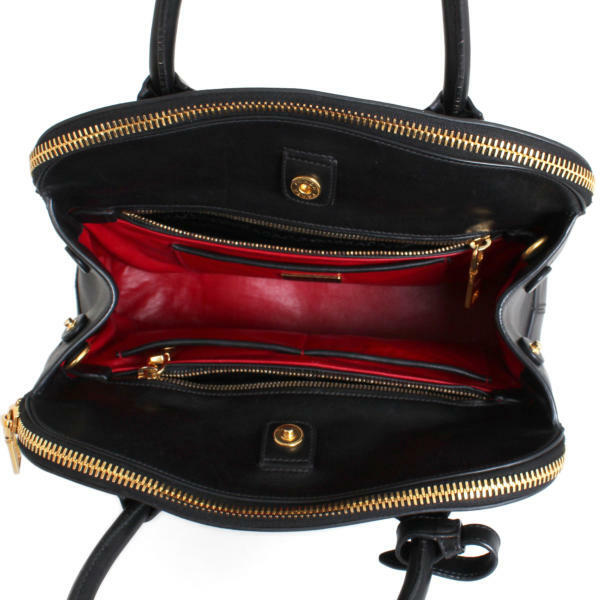 The main compartment consists of two zippered pockets lined with monogram canvas and three open pockets lined in red leather. 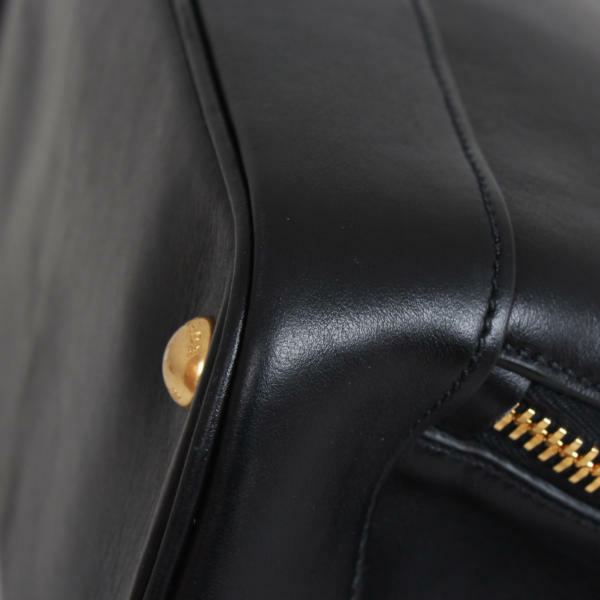 The interior of the two side compartments are made of monogram canvas and black leather. 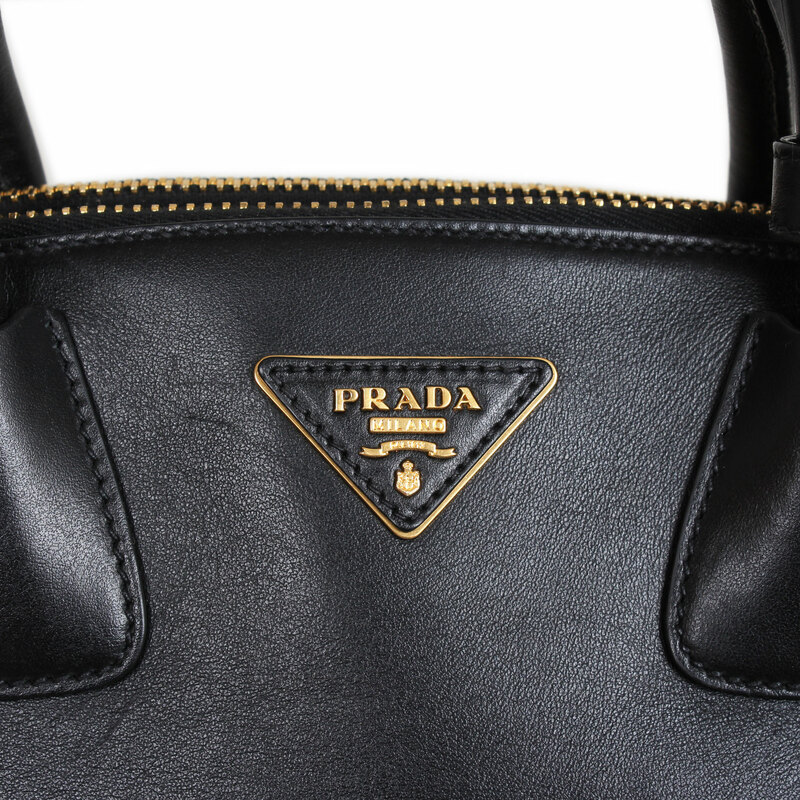 This classic handbag shows the Prada logo on the front side, crafted of leather and gold-tone hardware. Includes authenticity card, strap and unifier.